The Chinese New Year fireworks extravaganza will be held in Victoria Harbour on February 6 as Hong Kong welcomes the Year of the Earth Pig. The 2019 Lunar New Year Fireworks Display will begin at 8 p.m. on Wednesday and is expected to last more than 20 minutes, or longer than the 10-minute fireworks display on Dec. 31. 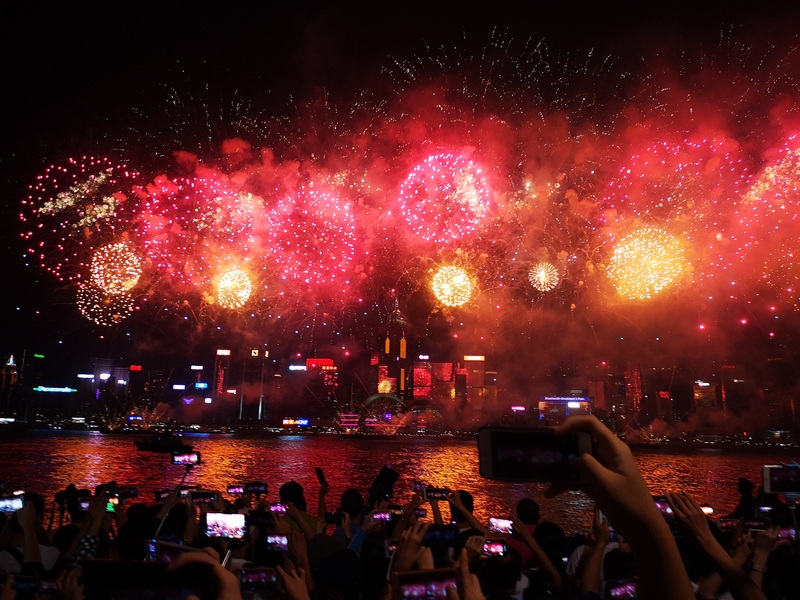 Those who want to watch the fireworks display can watch it from the Tsim Sha Tsui promenade, the waterfront in Central, the Western District Promenade, or from the Golden Bauhinia Square in Wan Chai. On Feb. 5 (Tuesday), the 2019 Cathay Pacific International Chinese New Year Night Parade will be held from 8 p.m. to 9:45 p.m. in Tsim Sha Tsui. The parade, which passes through Canton Road, Haiphong Road, and Nathan Road, will have nine magnificent floats and 20 local and international performing groups that will showcase their talents in acrobatics, cheerleading, hip-hop dancing, and many more. For those in the New Territories, the floats will also be on display at Lam Tsuen in Tai Po, during the Hong Kong Well-wishing Festival from Feb. 6 to 19. The well-wishing festival in Lam Tsuen attracts thousands of visitors who want to see the traditional throwing of placards on the wishing tree and lighting wishing lanterns. The night parade’s international groups will also perform at Lam Tsuen from Feb. 6 to 7. February 5,6, and 7 are statutory holidays, the Labour Department said.